Well in my last post I showed you the 120 palette that I use for my eye looks along with their swatches. As promised this post is about its details. 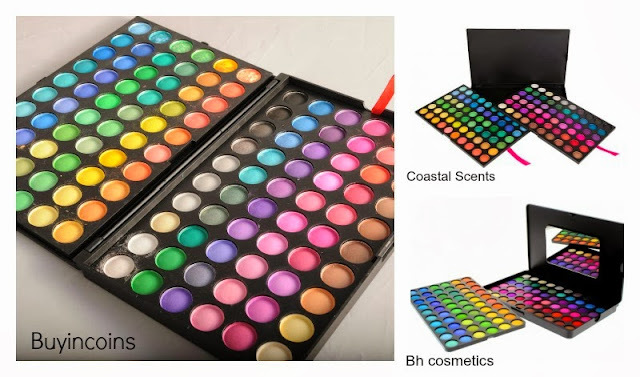 To start off..this palette is a dupe of Coastal Scents 120 Palette One and bh Cosmetics 120 Colour Palette 1st Edition. Pro 120 Full Colour Palette comes in a sturdy black case and looks like a mini laptop. It click locks to ensure the safety of the product inside It contains of two trays with 6o eye shadows each. The trays are not attached and can be taken out easily. Both the trays have a thick plastic sheet sheet cut out over them so the the product doesn't get scratched or broken. Over all the packaging is neat and quite good for the price. Oh yeah....you can make that out from the swatches most of the shades are super-duper pigmented. So much so that you really need to have a light hand while applying these as they are very capable of making one look like a clown if used with a heavy hand. Having said that,the palette also has few eyeshadows of veluxe finish which are comparatively very less pigmented..but like I said MOST of the shades are super pigmented. Tip: Don't forget to tap the brush downward so as to remove the excess amount. 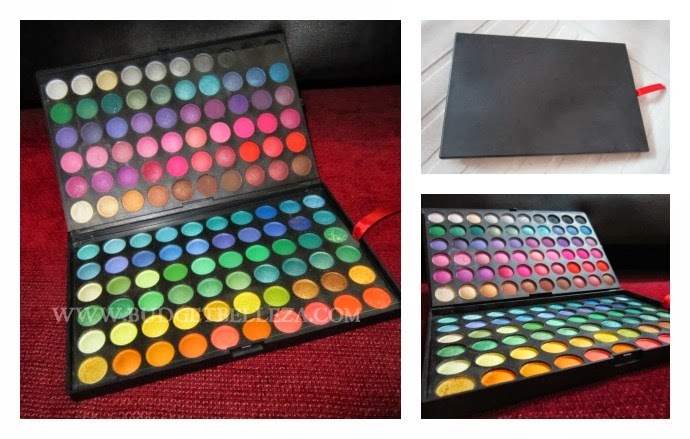 Its a huge palette with various eyeshadow finishes ranging from matte,frost,satin to luster.. But I notice more mattes! I got this Pro 120 Full Colour Palette from Buyincoins.com around 6months back,the reason being my wish to plunge in the pools of eye looks and I'm happy I did since it caters to most of my needs. It has multitude shades from all the colours. Different shadows are different in terms of finishes,pigmentation and fall out for eg. the shimmery black eyeshadow (third form right in the first row) is one of the most beautiful shade and it is super pigmented but it suffers from major fall out! Also the shadows are not waterproof,they spread and smudge easily with just a splash of water. And this is what I came up with using this palette!!! Its has a huge variety of colours. You get different finshes (matte/satin/luster) all in one palette. The trays come out..easy for application! Easy to carry a palette than different singles. Blending them isn't an issue. Some eyeshadows have fall out issues. Some appear different in pan but are similar on application. You can get coastal scents or bh cosmetics palette which just a little higher in price when on sale. Despite the cons mentioned above,its an amazing palette to start off with.I'm looking forward to do various eye looks with this baby! I won't finish this anytime soon! P.S. The swatches above are on bare skin without primer. 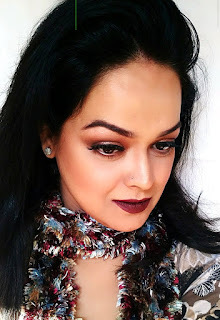 This is totally paisa vasool pallette.. loved ur EOTD .... nice pics n review!!! Oh yes Nats..total paisa wasool..
..and the EOTD is just fab! Yeah..that's nice,its so versatile no? Me too <3 it .. 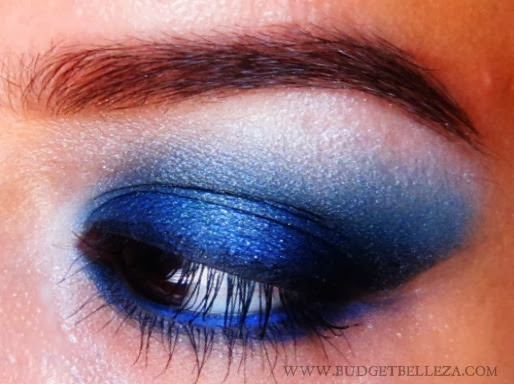 Such beautiful shades and lovely EOTD! Thanx dear.. Its a beautiful palette!